Provide comfort for the family of Michael Maloney with a meaningful gesture of sympathy. Mike was born to Burt and Betty Maloney in 1964. He was a graduate of Chelmsford High School and worked for many years as a pharmacy technician. He lived in Chelmsford and Lowell his entire life. Mike struggled with a cognitive disability, many health challenges and a stuttering condition, yet found ways to connect with those around him, stayed engaged in the community, and was fiercely loyal to family and friends. He loved sharing funny stories and talking about things he had read. His gentleness and kindness will be missed. 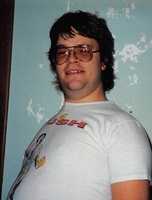 Mike was active in MassCann, Libertarian and Wiccan groups, and regularly attended Comic Con events in the area. He was known for his passion for collectibles and particularly sought out unique pieces of Dr. Who memorabilia. He inherited a love for cooking from his mother, always looking for a new recipe to experiment with and to share the results with family and friends. He rejoiced when he finally got the right mix of ingredients for his homemade Pad Thai. Mike loved movies and music. He introduced his nieces to science fiction classics like Star Wars and Star Trek, and kept them in supply of Hayao Miyazaki films each Christmas. He shared their love of Totoro, Howl, No Face, Kiki and Ponyo and enjoyed conversations about the characters. Recently, he learned that his niece Caitlin had conducted Ozzy Osbourne’s Crazy Train with marching band at a football game – something he thought was just wonderful. He shared his pride and delight watching videos of recent performances and was so glad she both knew and enjoyed his favorite song. In recent years, Mike was an active member at the Renaissance Club in Lowell where he made many new friends. This supportive community was very important to him, especially since his immediate family had all passed and he continued to struggle with his disability and health, both losing his job and having a harder time getting around. Yet despite all his challenges, Mike was always glad to see you, never complained, and looked forward to connecting and sharing stories. Mike was predeceased by his parents Albert and Elizabeth Maloney and his brother, Steven Maloney, all of Chelmsford. He is survived by his sister in law, Cynthia Maloney, and two beloved nieces, Caitlin and Maggie Maloney, of Westford. A service in his memory will be held on Star Wars Day, Saturday, May 4 at 10 am at the Blake Chelmsford Funeral Home, 24 Worthen Street in Chelmsford. Mike will be buried next to his parents and brother at Pine Ridge Cemetery in Chelmsford. In lieu of flowers, please make a donation in Mike’s memory to the Renaissance Club, 176 Walker Street, Lowell, MA 01854. 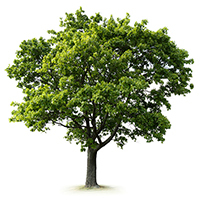 To plant a memorial tree in honor of Michael O. Maloney, please visit our Heartfelt Sympathies Store.